Want to display your products in a stylish yet oh so practical way? 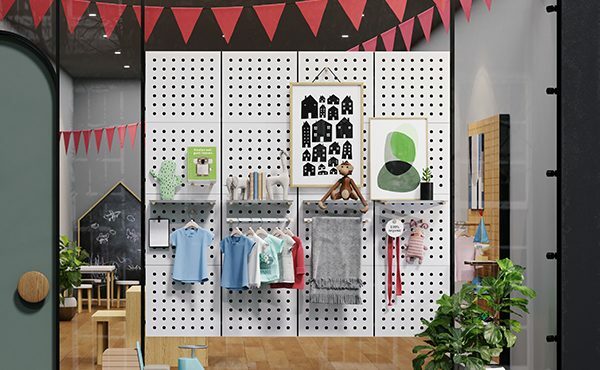 If you need to refresh your shop, then check out the fantastic Peggie system by Shop for Shops. Peggie’s panels create stunning spaces with endless display possibilities. With a touch of brass, her range of accessories is sure to ignite your imagination. Get to know Peggie and see how easy it is to transform your spaces and drive your sales. In addition to the Peggie system, Shop for Shops is your one stop for all you shop fittings, shelving and display needs. Come and visit Shop for Shops at the AGHA Sydney Gift Fair, 23-26 February at stand 2N16.